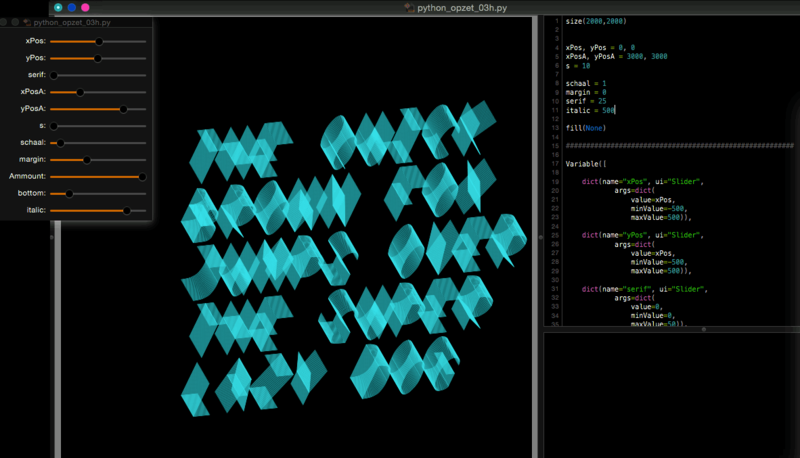 Generating typography by coding within DrawBot, setting parameters such as positioning — height — width — serif — scalability — italics etc. 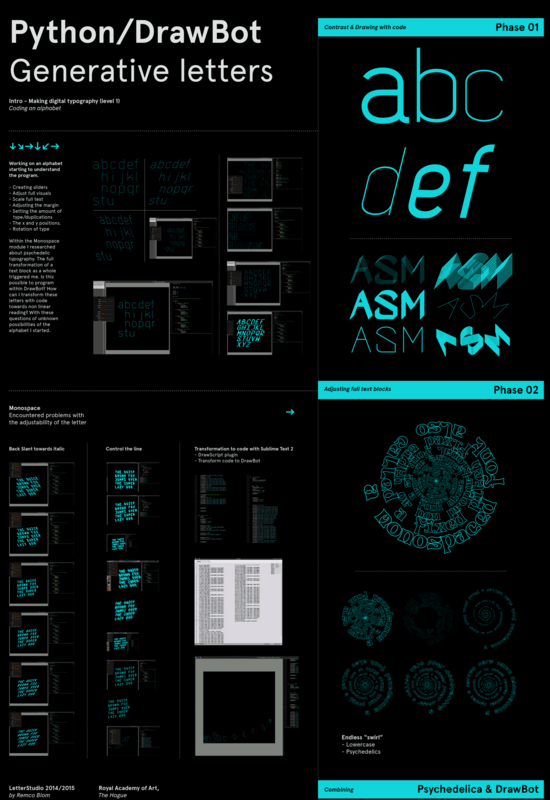 to create interactive typography. 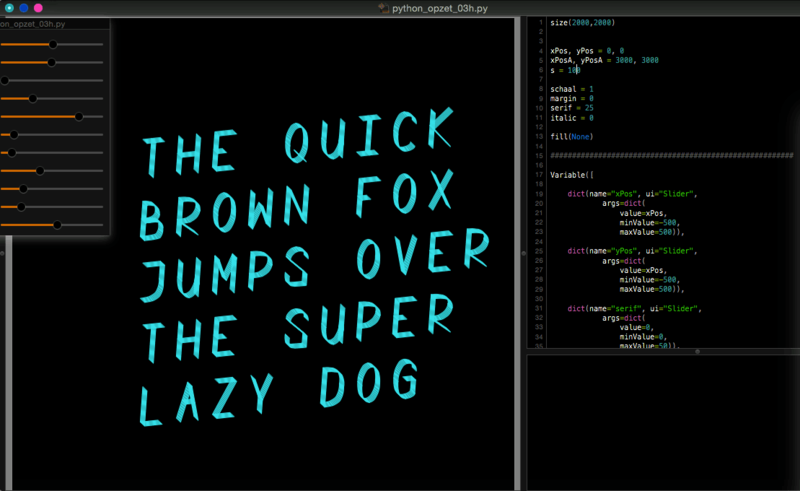 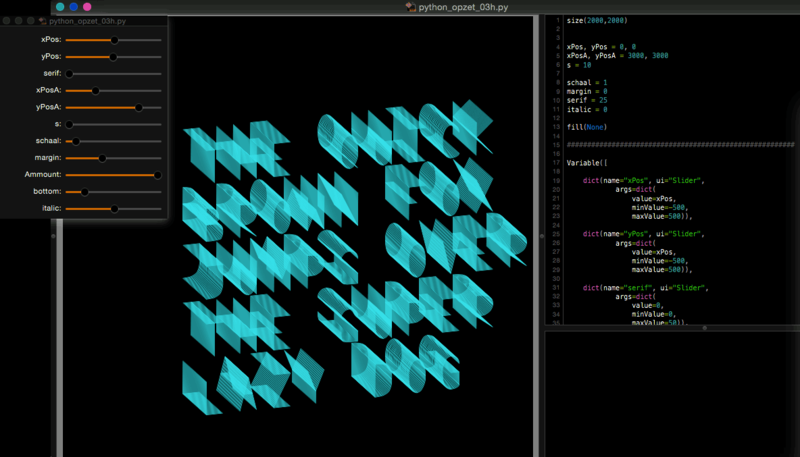 Each time adjusted manually within the code or automatically by writing a script to create a new potential typeface view.